The architectural legacy of Chile is unique for its inherent literary influences, such as Gabriela Mistral, Pablo Neruda, and Roberto Bolaño (to name a few). This article originally appeared on the Blueprint South Dakota blog on January 15, 2019. The second post in the ongoing series on Latin-American Architecture focuses on Chile. The decision to focus on Chilean architecture comes not only from the country’s compelling group of contemporary designers, but also from its rich cultural background and diverse climate. For the better part of two decades, Chileans lived under the rule of authoritarian dictator Augusto Pinochet, whose nationalistic policies created a, “cultural blackout,” the result of which forced a dramatic suppression of artistic expression. Despite this setback, Chilean architects have wasted little time developing strategies to address the challenges of housing, education, urban-planning, and the physical divisions between social classes. Additionally, the architectural legacy of Chile is unique for its inherent literary influences, such as Gabriela Mistral, Pablo Neruda, and Roberto Bolaño (to name a few). Perhaps more than any other cultural tradition, Chilean designers are notably inclined to celebrate the creative parallels between architecture and literature, of which the themes of Jorge Luis Borges are particularly recognized. 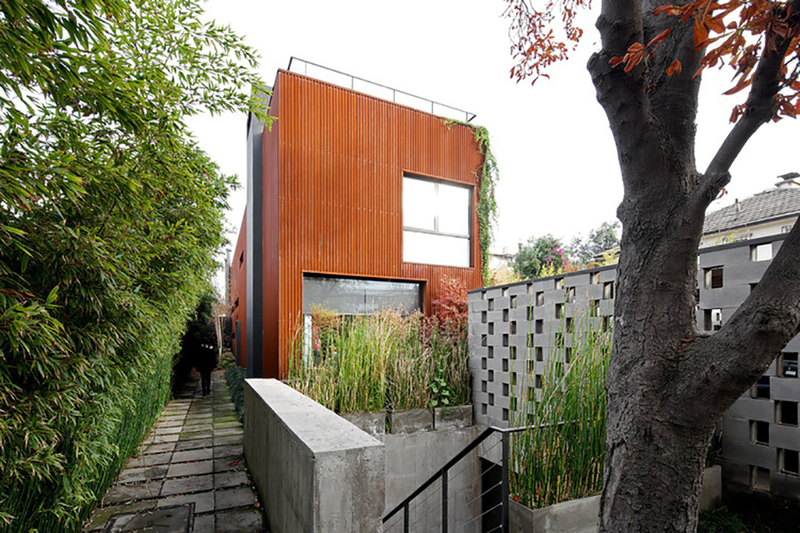 In physical terms, the geographic and climatic diversity of Chile also represents a significantly contributing factor in the country’s architectural tradition. Chile’s climate ranges from the Atacama Desert (the world’s driest desert) to the alpine tundra and glaciers found in the South and East. Furthermore, the country is situated along a highly active seismic and volcanic zone. Most recently, in 2010, an earthquake took the lives of more than 500 people. Chilean architects recognize the urgency of designing in response to this myriad of geographical conditions. Smiljan Radic’s column design for the restaurant, “El Mestizo,” illustrates the material exploration born of a need to maneuver around these dramatic climatic factors. What follows are five of the most culturally influential contemporary Chilean architectural practices, whose work varies from small temporary installations to large-scale urban projects.